J3-94 Jericho Horns with TH118 subwoofers and DNA Pro amplifiers reinforce performances for Grammy Award-winning orchestra's 2,600-seat concert hall. As the second-oldest professional symphony in the United States, the Grammy Award-winning St. Louis Symphony Orchestra is proud of its longevity and tradition. 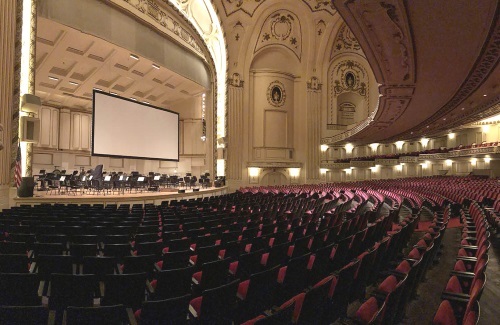 For the past half century, the SLSO has performed in Powell Hall, an acoustic concert hall that seats over 2,600. Its acoustics are excellent for the orchestra itself but far less than excellent for amplified sound. Until recently, spoken word for lectures and presentations was difficult to understand and sometimes came with feedback. Reinforcement for both instruments and vocalists during amplified concerts was also challenged with gain-before-feedback issues that were only partially remedied by destructive equalization. 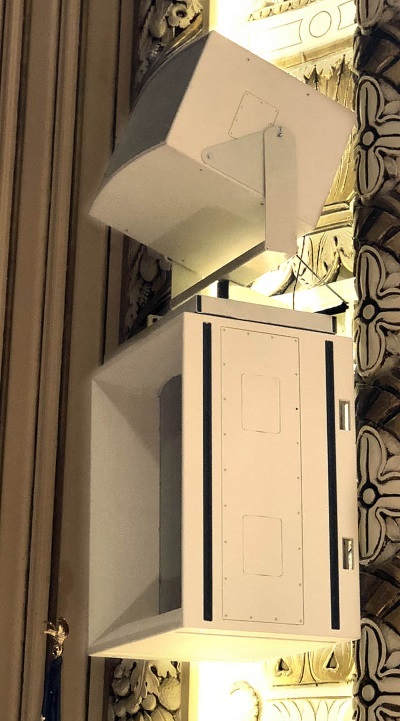 After extensive research, the SLSO found that Danley Sound Labs’ patented point-source technologies could solve its intelligibility and gain-before-feedback issues. Doug Fowler, former SLSO engineer and Danley enthusiast, made the initial introduction between Danley and the SLSO. Hedden did an initial design using Danley Direct, but long before the SLSO had committed to a solution, Bailey and Bolte inquired if a demonstration of the system was possible in Powell Hall. Hedden added, “To add to the challenge – fun depending on how you look at it – one of the demonstrations would be during an actual performance.” Danley’s Doug Jones tuned the system and presided over the demo that proved the reality of Danley’s pattern control and the uniformity of its phase-coherent output. Kirkegaard Associates, a Chicago-based performance space consultant and long-standing partner with the SLSO, assisted with the evaluations. “Everyone involved played an indispensable role, but Doug Jones stands out as really helping out overall by bridging the lines of communication,” Bolte says of the former college professor. “In an organization like ours, dozens of people were involved, and Doug Jones had a way of explaining what was going on that met each stakeholder where they were at, including management, world-class musicians, and audio professionals.” Jones brought two Danley systems that looked promising in Hedden’s models, and the entire team agreed to the Danley J3-94 Jericho Horn. Analysis and evaluation by Kirkegaard confirmed the team’s observations. A stereo pair of 440-pound Danley J3-94 Jericho Horns covers most of Powell Hall’s seats. Although they’re solid down to 70 Hz, the team installed a pair of Danley TH118 subwoofers to get down another octave. Above each Jericho Horn, a Danley SH62 full-range loudspeaker covers the farthest balcony seats. Two four-channel Danley DNA 20k4 Pro amplifiers and one four-channel Danley DNA 10k4 Pro amplifier, all with integrated on-board processing and custom Danley presets, power the new front of house system. In addition to the SLSO’s events, Powell Hall hosts musical acts without the orchestra and events such as the Maryville University Speaker Series, which features luminaries such as former Presidents and astronauts. “With the new Danley system, spoken word gain-before-feedback is no longer a problem, and intelligibility is outstanding. STIPA measurements to the extreme furthest seating locations was still .7,” Bolte says.